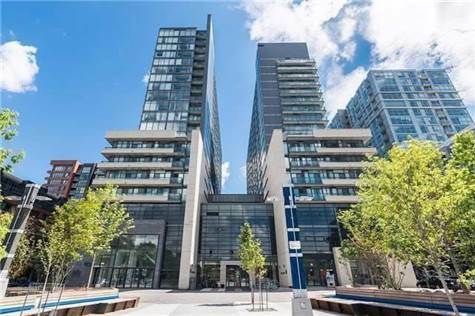 2 Bedrooms & 2 Bathrooms Condo In Prime Queen West "Edge On Triangle Park"! Open Concept! Few Minutes Walking Distance To Great Restaurants, Bars, Nightlife & Trinity Bellwoods Park. Ttc At Door Steps. 24 Hour Concierge. Gym, Party Room & Many Other Amenities. Must See!! No Pets & Non-Smokers. $300 Key Deposit. Fridge, Stove, B/I Dishwasher, B/I Microwave, Washer & Dryer. A++ Tenants Only.